The importance of safety on the jobsite and in daily operations is vital to the success of any business. Reducing the potential for accidents and injuries is of the utmost importance to maintaining a safe work environment and a profitable bottom line; however, identifying such risks can pose a challenge and are sometimes merely overlooked. It’s easy to get swept up into day-to-day operations and fail to notice an accident waiting to happen. NAICO fills this gap for our customers by offering loss control services to assist with the burden of identifying potential hazards and reducing the risk of a costly loss. NAICO’s loss control staff is experienced and trained to examine operations for multiple industries. Causes of loss and subsequent solutions vary from business to business. 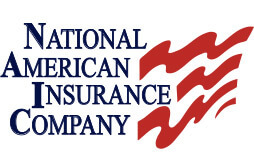 After performing an evaluation and analyzing potential risks, NAICO’s loss control representatives develop a plan specifically designed to reduce the risk of costly claims for each individual client. NAICO policyholders can also benefit from unlimited access to free safety videos through our video lending program provided by Aurora Pictures. Several safety topics are available on both DVD as well as online through on-demand streaming.